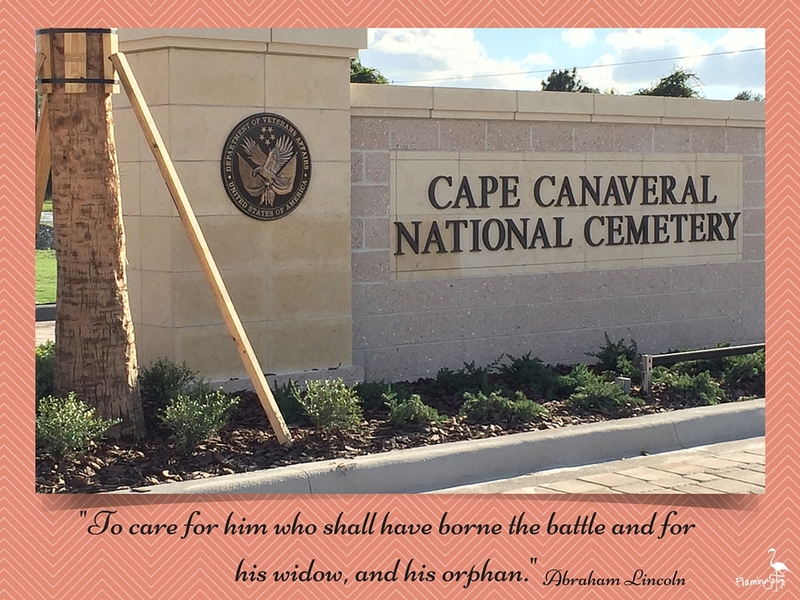 Brevard County, Florida, is getting a national veterans cemetery, notably called Cape Canaveral National Cemetery. I had a rare opportunity to tour this new, under construction cemetery located in north Brevard County, Florida. It’s taken years to get, but the thousands of veterans who live here and near, are thrilled, as I am too. A few months earlier an article in our local Florida TODAY caught my eye. A new VA cemetery was in the works and they needed volunteers. I wondered just what this was about so I showed up at the first meeting. The meeting brought together interested people from all over the county. The purpose was to inform and recruit citizens and veterans for service to the cemetery. I was peaked with excitement to learn more about this, although I knew I couldn’t help all the time as I am currently employed full time. Last week I got a call from a former colleague, and veteran, who also was at the first meeting. He informed me there was another meeting coming up and would I attend. Sure why not. I had been sitting on the fence whether to volunteer or not. This was my push, my nudge to jump on board. I attended the meeting and signed up. VA volunteer training is coming up next week at the VA Clinic in Viera, Florida. Every volunteer has to fill out an official volunteer application with the VA and take their training course. At this particular meeting the Cemetery Director, Don Murphy, provided construction updates and progress overview. He also asked if anyone would like a private tour of the cemetery. I thought, yes, I want to do this so I set up a date and time right then. Two days later my husband and I were at Don’s office for our private tour. As we drove in through the construction entrance we saw huge mounds of sand that was taken from a pond. This sand and dirt is, or will be, used somewhere in the cemetery as everything is being reused in some manner throughout the cemetery. Some of it is recycled into topsoil. Being a hard-hat zone we had to stay in the van, but I took photos through the van’s windows. Roads are being made, landscaping, and the vast amount of cement crypts are being placed in perfect order, then buried in the rolling fields to await their honored guests. Phase One is coming along beautifully. The Administration Building is under construction but the Honor Guard facility is completed. Project and construction offices are set up. Pavilions for funeral services are completed too. The cemetery even in its infant stage is breathtaking. One already feels the tranquility when inside this sacred ground, and it’s just begun to take its place of service. It’s peaceful. I had wondered why placing the cemetery in such a remote area, but once I was there, I knew this was the only place for it. The rural environment is serene, surrounded by trees with the Indian River at it’s east end. The content feeling I had reassured me it’s a place for our veterans. It’s gorgeous and will honor those buried there with the dignified and honor they so deserve. I was thrilled to see this work in progress. Which, by-the-way will be in progress for years. The last section will not even start development for 50-60 years. To see this now is a cherished memory I will keep forever. From what I’ve seen now, I can only imagine what it will look like 100 years from now—a magnificent, sacred garden of our nation’s heroes. The cemetery will serve over 163,000 veterans, and their spouses and minor children in the East Central Florida region. It’s situated on 318 beautifully manicured acres, accommodating casketed and cremated remains. Phase One construction began March 2015 and is expected to provide burial options for 10 years. It is estimated to have 2,300 to 2,350 burials a year. The site is in a 75-mile radius of 175 thousand veterans so it’s certainly in need. The dedication ceremony will be Friday, November 20, 2015 at 1400 hours. I will be handing out programs for the ceremony as my official first duty as a Cape Canaveral National Cemetery volunteer. I am most honored to do this, to give something, albeit small, back to our veterans and their families. I know their pain of loss. Next postMy Dad, Herb Crosby. Marylou, thank you for a beautiful and poignant article on the National Cemetery. I will be certain to share your post on my social network sites. I have taken the tour and your photos bring it all to life.